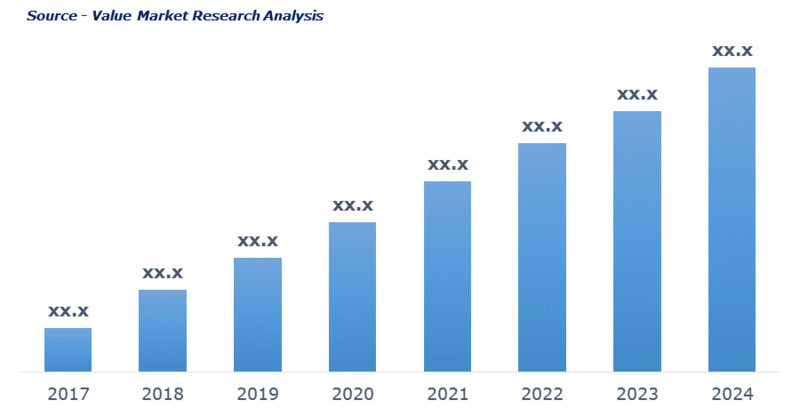 As per this study the Global Flight Navigation System Market was valued USD 12 BN (by revenue) in 2017 and is anticipated to reach USD 19.3 BN by 2024 with a CAGR of 7%. Flight navigation system is the navigation used for planning, recording and controlling of aircraft movement. It provides details regarding the appropriate needs of the aircraft directly to the autopilot or central computer. It includes navigation and operation details of the aircraft right from engine start to landing.